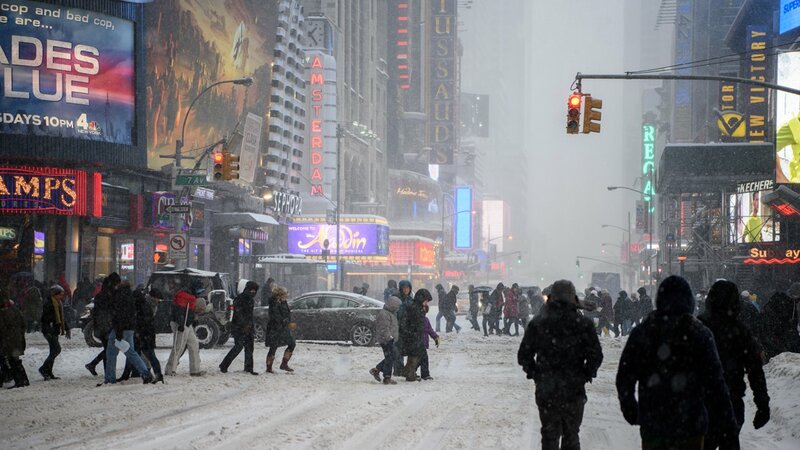 NEW YORK CITY (WABC) -- Because of the travel ban in New York during an intense blizzard, all Broadway matinee and evening performances on Saturday will be canceled. A statement from the Broadway League, said, "I'd like to reiterate that the safety and security of theatregoers and employees is everyone's primary concern." The theaters expected normal operations for Sunday. New York Mayor Bill de Blasio had earlier called for Broadway shows to cancel, and restaurants and other businesses to "shut down and get employees home right away."